Photo: Carl Court / Getty. As consumers, we've never had it so good. These days, you don’t have to lift a finger beyond your nearest smartphone app to have a personal shopper bring your groceries over post-haste at almost any time of day or night. Call a cheap cab? Easy. Need something delivered on a Sunday? Not a problem. But what about people working in the ‘gig’ economy that makes all this possible (so called because they are employed on a gig-by-gig basis – for example, Deliveroo pays some of its couriers £3.75 per ‘gig’ ferrying every takeaway you order through its online app)? In theory, and according to proponents of ‘flexible working’, these workers enjoy the freedom to work whenever they choose. And this may suit some: for example, students, older workers or parents looking after kids who could use a bit extra to supplement other sources of income. But the reality for most ‘self-employed contractors’ is that working in the gig economy means low pay, insecure work, and no employment rights worth speaking of. 'Self-employed' gig work does not come with pensions, sick pay, holiday entitlement or parental leave. You have to be a ‘worker’ or an ‘employee’ to get these basic rights. Gig workers get paid per job, not by the hour (at least in part). 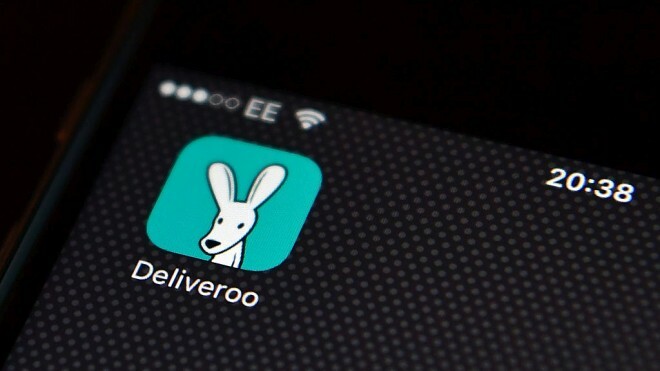 So that Deliveroo worker mentioned earlier on £3.75 a ‘gig’ may make a delivery in the morning, then sit twiddling his or her thumbs all day until another gig comes in. This means many people are earning less than the hourly Minimum Wage, with no financial security. And so many workers live increasingly ‘on-demand’ – at the beck and call of an online app – just to make ends meet. This in turn encroaches on essential family time or a healthy social life. All in all, the lack of the most basic financial guarantees, job security, employment rights or structure around work are a growing source of stress, and physical and mental ill health. Disempowered workers are carrying all the risk, while employers get rich on the profits. It’s harder for people with insecure work and income to get mortgages and loans, and therefore to plan for the future. And the effects of a gig economy which bids down prices and profit margins has spilt over into traditional mainstream employment, where companies and public services are adopting increasingly precarious contractual arrangements to compete. Zero-hours contracts are now commonplace in the NHS, our schools and even airlines! While the government has stated a vague commitment to “ensure our employment rules are up to date and reflect new ways of working,” don’t expect any review of employment law to be a silver bullet for gig workers any time soon. Another problem inherent in the gig economy model is worker representation and organisation. In the UK, if you are categorised as a ‘worker’ or ‘employee’ you have the right to join a union at work and have them initiate collective bargaining on your behalf for better pay and conditions. But not if you are ‘self-employed’. This definition is at the heart of the battle unions and gig workers are fighting against exploitative labour practices. This sets a vital legal precedent that others are already following. In August, Deliveroo couriers forced a climbdown over a new pay structure their employers tried to impose on them, and are now demanding union recognition from their employer so they can get round the table to negotiate better pay and conditions. We live in uncertain times and, as in so many areas of life right now, change is in the air. Unions will continue to work hard to make sure that, as far as gig workers are concerned, it continues to be positive.